NEW YORK (April 4): US stocks were slightly lower on Tuesday, weighed down by financial and technology shares, and as investors braced for a potentially tense meeting between President Donald Trump his and Chinese counterpart Xi Jinping. Trump, known to have a protectionist stance on trade, has held out the possibility of using trade as a lever to secure China's cooperation against North Korea when he meets Jinping on Thursday and Friday. Adding to investors' jitters is the Trump administration's recent struggles to push legislation through Congress, particularly a healthcare reform bill. 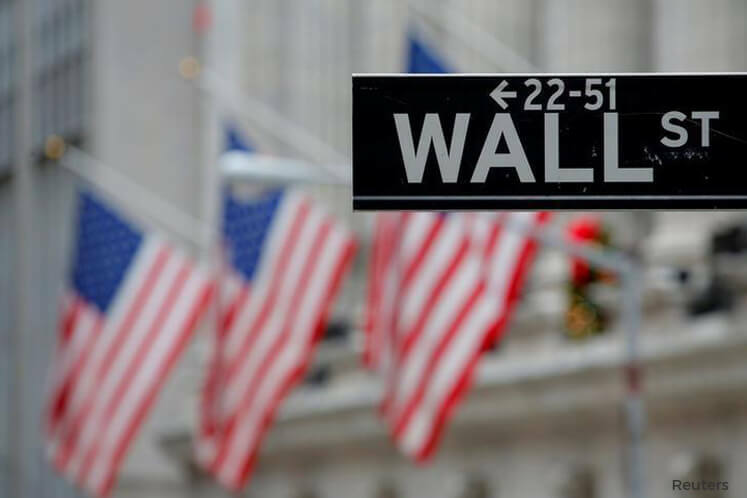 That has led to questions whether Trump could deliver on his promises of tax cuts, looser regulations and higher spending on infrastructure, pro-business economic stimulus plans that has helped power the major US stock indexes to record highs. "Traders are keeping a close political watch on the various upcoming events and are not likely to increase risk ahead of what may turn out to be a critical Trump, Xi meeting," Peter Cardillo, chief market economist at First Standard Financial wrote in a note. At 9.37am ET (1337 GMT), the Dow Jones Industrial Average was down 21.82 points, or 0.11 percent, at 20,628.39, the S&P 500 was down 4.6 points, or 0.20 percent, at 2,354.24 and the Nasdaq Composite was down 7.90 points, or 0.13 percent, at 5,886.79. Nine of the 11 major S&P 500 sectors were lower. The S&P technology sector was off 0.32 percent, weighing the most on the benchmark index. The biggest drag on the S&P 500 and the Nasdaq was Nvidia , which dropped 4 percent to US$104 after Pacific Crest downgraded the stock to "underweight" from "sector weight". The financials index fell 0.39 percent, led by Bank of America. The lender's stock dropped 1.1 percent after a rating cut by Citigroup. General Communications soared about 54 percent after John Malone's Liberty Interactive said it would buy the Alaska-based telecom company for US$1.12 billion. Liberty Interactive's two tracking stock rose. QVC Group gained about 4 percent and Liberty Ventures jumped nearly 9 percent. Declining issues outnumbered advancers on the NYSE by 1,452 to 1,068. On the Nasdaq, 1,076 issues fell and 1,050 advanced. The S&P 500 index showed four 52-week highs and two lows, while the Nasdaq recorded 14 highs and 10 lows.